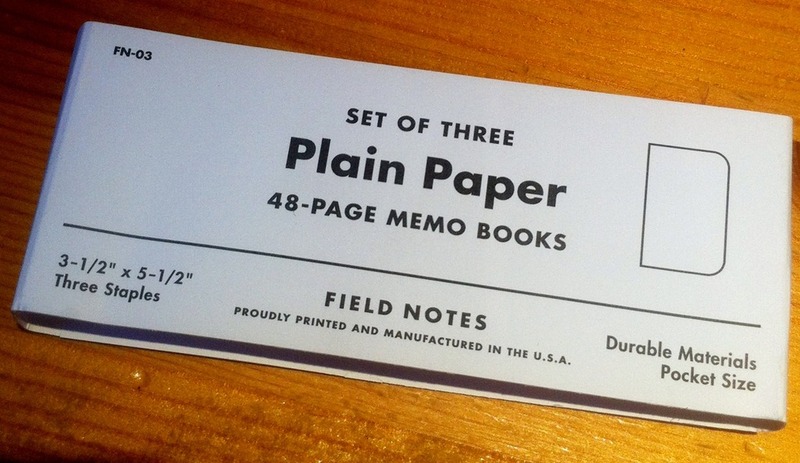 FIELD NOTES : Plain notes for planning by. 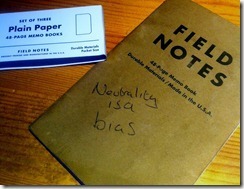 It was @DataInadequate who sent me my first few “Field Notes” in response to my usage of Moleskine Journals for blogging. At the time I decided against using them for the blog as I felt it would break the continuity of the books. However I continued to carry the Field Notes notebooks with me and they soon transplanted my moleskine journal as a means for occasional note and thought scribbling. I am grateful that John introduced me Field Notes as until then I was carrying two moleskines around and the bulk of two books was too(hah) much. These slimmer memo books are a similar size if not depth to the Moleskine Journals and the paper and build quality of the notebooks is hard wearing and resilient to my in out, drop , place, cover, spill and walking lifestyle. I start each new book with a thought on the front cover and when complete I review them for pertinent data that might need to be carried forward , in which case it is stored in @evernote and then the books are archived. 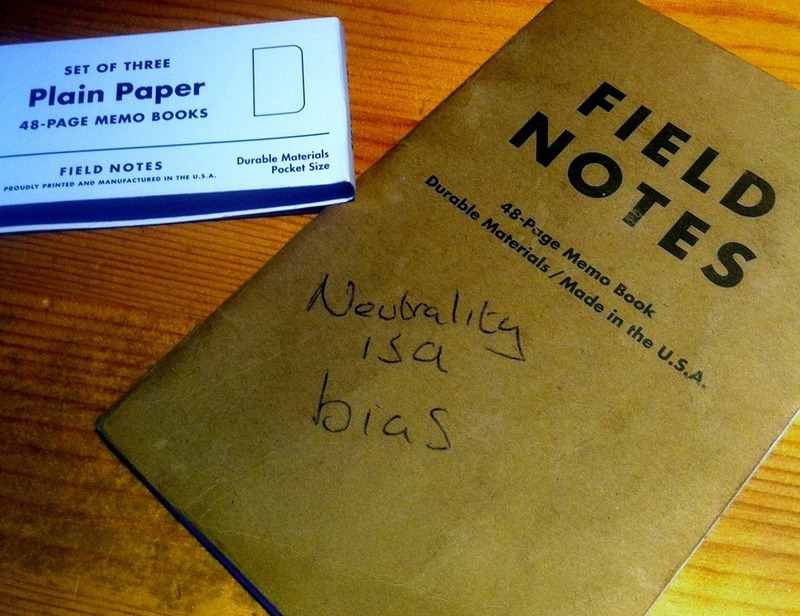 I am not going back; I will continue to use my Moleskine for the purpose of writing the blog but I urge you to take a chance on Field Notes as an alternative. Somehow your thoughts feel like they are working if they are written between those brown covers.